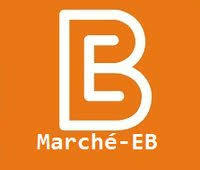 Introducing a new innovation in your shopping experience, Marche-EB brings you the freshest quality products and the most delicious in the world and the world with a focus on modern retailing. Created by an experienced and hardworking team, we create a brand that will explain best the excellent customer relationships and strong reputation of the group. Beginning as a friendly hypermarket, we are ready to diversify as the dream grows, we will campaign around the world with our core values ​​of honesty, innovation and usability.